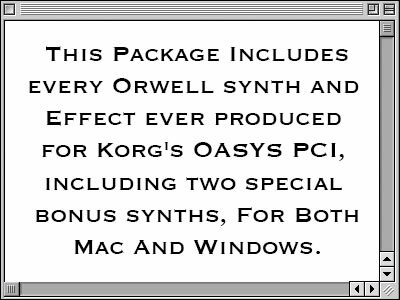 This bundle contains every Orwell synth ever produced for Korg's OASYS PCI, including two special bonus synths! 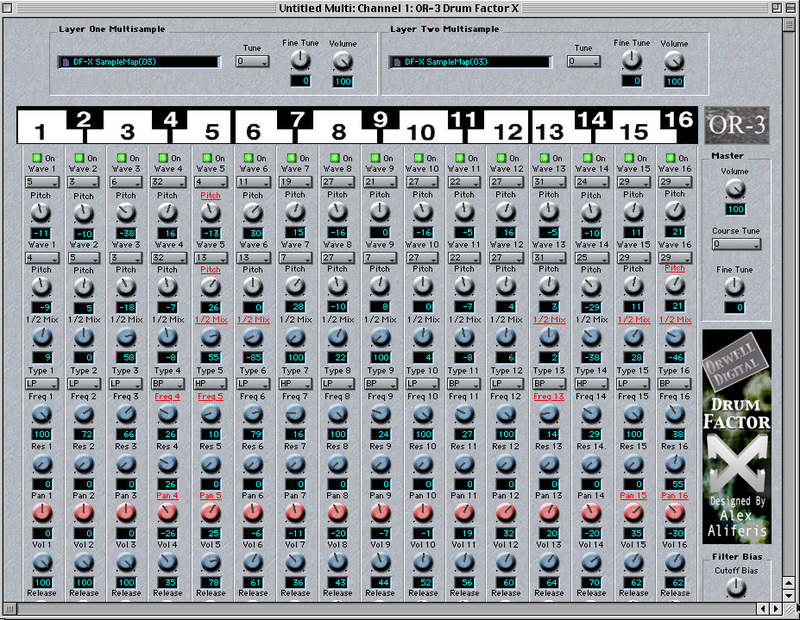 OR-1 AuraStorm- The OR-1 combines complex, multi-loop step sequencing with high-quality sample playback to create a wildly inspiring musical tool. filter type, cutoff, pan, volume and more. of the main sequence to be played in various orders with differing transposition. All controllable from a controller keyboard in realtime. 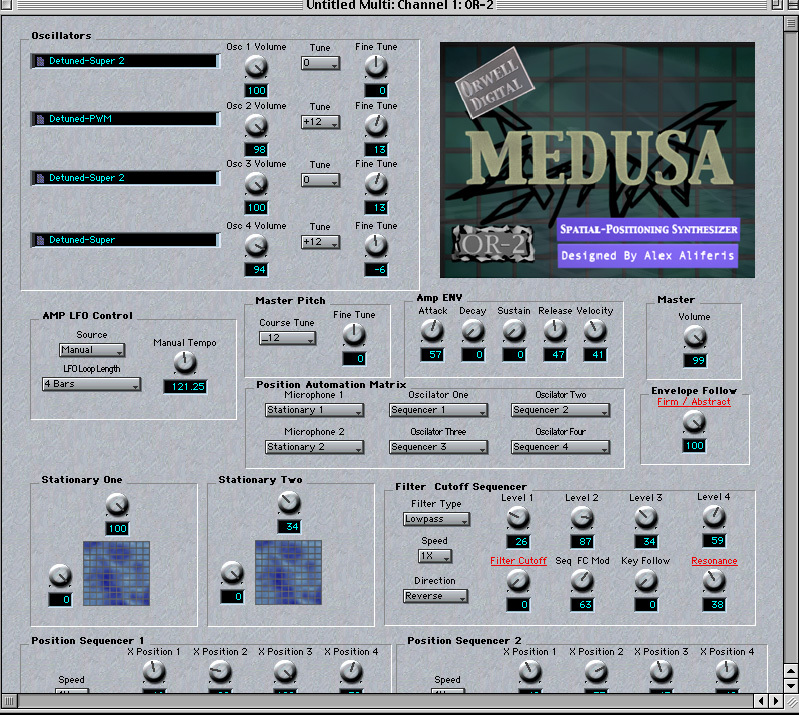 multi-point spatial sequencers allow users to have various sonic elements independently moving about. Super-flexible and highly intuitive, the OR-2 is truly one of a kind. massive, obese tones. HUGE. 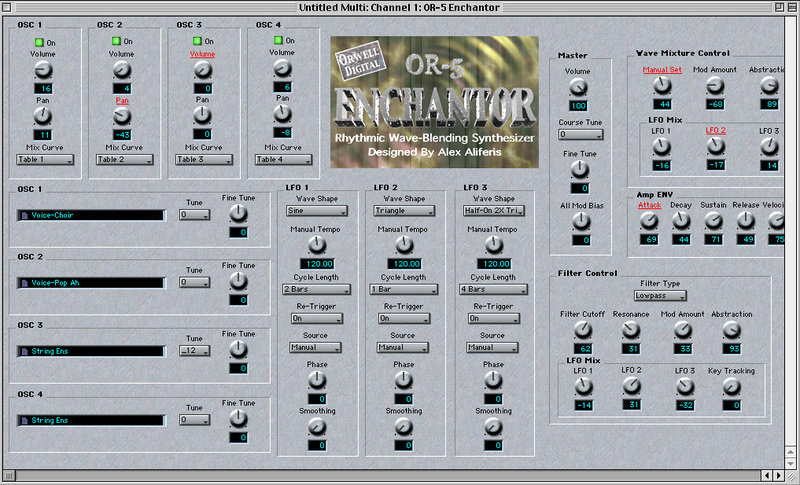 OR-5 Enchantor- The lushest synth on planet Earth! 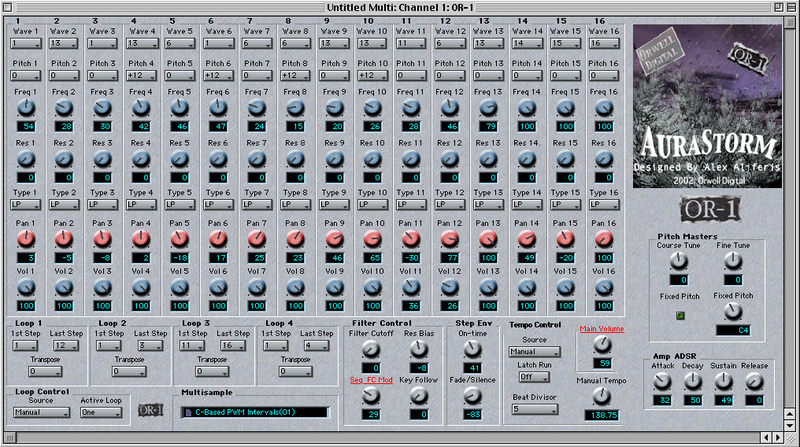 a super-unique engine runs at full DSP-rate to provide incredibly smooth, highly-detailed sounds.